The end of the year is always a good time to reflect on what actually happened in the whirlwind of a year. In 2014 we went all in on YouTube videos and I’m very proud of the quality, creativity and depth of topics our contributors covered. Below is a list (in reverse chronological order) of some personal favorites from the year. If you enjoy them, please subscribe to our YouTube channel. We’re excited to bring you more articles and videos than ever this year. Also, don’t forget to check out our 2014 article roundup. Part one of a two-part tutorial on the difference between phasing and flanging effects. A tutorial on using the Dynamic EQ in Ozone 6 Advanced to add tonal variation to drums. How to automate your own orchestra of ambient sounds with guitar and effects. Jonathan Roye of Mixnotes walks you through how he approached processing the drum buss with EQ, compression and saturation. A quick tutorial on using effects for vocal breaths. A free 25 minute masterclass all about the stereo buss. The third tutorial from Matthew Weiss on mixing 808 kick drums. Five ways to EQ a bass guitar at the source without touching an actual EQ. How to use EQ to give multiple synth layers their own harmonic space in a mix. How to use Slate Digital FG-Grey virtual buss compressor on the stereo buss to enhance the sense of groove. How to add excitement to the hook with multiband stereo imaging. How to visualize and analyze the frequency curves of various plugins. Part 1 of Dissecting Dilla from Matthew Weiss covers the characteristics of the mixing and production style. 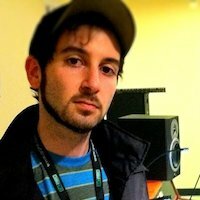 Part 2 covers techniques for mixing Dilla-esque productions and other sample-based hip-hop. How to liven up and modernize an old school drum loop. How to approach mixing programmed hi-hats. An overview of mixing a smooth lead vocal on The Stone by Goose & Fox. Techniques for mixing stacks of lead and background vocals. How to add character to the drums by isolating snare drum ghost notes. How to use automation to create a cool sub-reverb effect on toms. 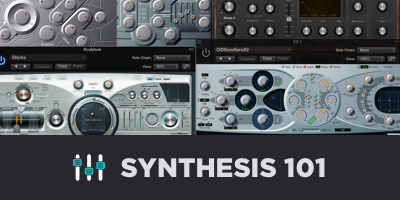 An overview of how to use a compressor. How to create depth without drowning a sound in reverb. How to use parallel processing to bring out the tone and character of an 808.